Pri Mar Petroleum has 13 company-operated convenience stores called Primarts throughout Southwest Michigan. Pri Mar Petroleum offers premium products and services for the automotive, commercial, agricultural and industrial markets. 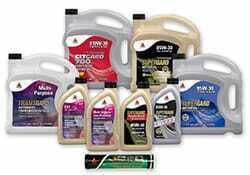 Pri Mar provides for all of your fuel and lubricant needs! Count on Pri Mar Petroleum for all your equipment and lubricant needs. Order online today!